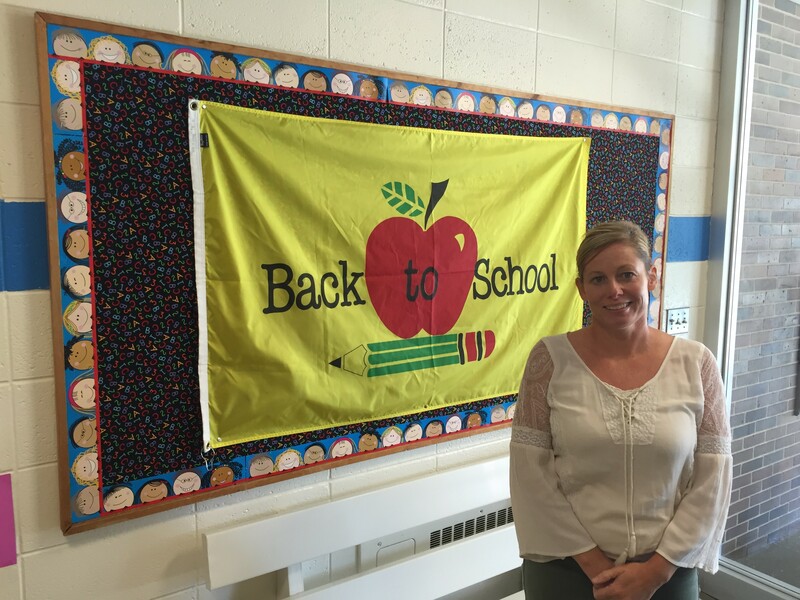 Jenny Moats and Taylorville Citizens for Education prepare for next phase of advocacy. The fight for equitable school funding has inspired parents, educators and administrators across Illinois, but there may not be a less likely advocate and coalition leader than Jenny Moats. Moats and other parents were in a Taylorville CUSD 3 school board meeting in early 2016 when they learned of major cuts to education funding due to the state budget standoff taking place in Springfield. Moats was stunned to learn that the cuts would disproportionately impact lower-income school districts that rely on state funding and have a limited property tax base. Moats and 11 other parents soon formed Taylorville Citizens for Education and joined forces with Funding Illinois’ Future, a coalition of school districts and community partners, including Advance Illinois, that convenes to advocate for equitable funding. Citizens for Education became increasingly active, setting up a social media presence and traveling to rallies in Springfield and Vandalia, as an equitable funding bill moved through the General Assembly last spring. The Taylorville group inspired parents elsewhere, too, and similar groups in Hillsboro and Pana started a few months later. Taylorville’s funding difficulties date to 2009, when the state began the practice of “proration,” approximately a 9 percent cut to state funding for schools. The cut hit low-income schools particularly hard, and proration alone has led to a $1.4 billion decline in state funding since 2009. In Taylorville CUSD 3, a district in which more than half of students qualify for free and reduced-price lunch, that’s meant a cut of $3.8 million during the last five years. The school district has closed three elementary school buildings in recent years and laid off nearly 30 percent of its staff. Class sizes of 30 or more are common in junior high and high school. As school opened this month, the district cut funding for transportation, meaning junior high and freshman athletes would no longer be bussed to games. Seventy miles south of Taylorville, in the former coal mining community of Sandoval, pro-ration and chronic underfunding have led to wrenching cuts in a community already challenged by generational poverty. Art, library, physical education and foreign language classes have been eliminated. And one music teacher covers all of K-12, including band and choir. The district lacks a social worker, even as one is needed for participation in a county anti-truancy initiative. After a nearly year-long budget impasse, the General Assembly passed a stopgap budget in late June that ensured that schools would open on time this fall. However, structural reform is still needed: Illinois remains 50th in equitable funding in the nation. For every dollar Illinois spends on a student with average means, the state spends only 81 cents on a low-income student. While members of Funding Illinois’ Future are encouraged by the Governor’s creation of the Illinois School Funding Reform Commission, much work remains in solving long-standing inequity. As students return to class this fall, it’s a sobering reminder that even as far more dollars are spent per pupil in wealthier districts, research shows that students in low-income districts need additional resources if they are to meet achievement and proficiency standards. In Taylorville, Jenny Moats and other parents are ready to mount another advocacy push that will end underfunding once and for all.